This deal expires on March 2! 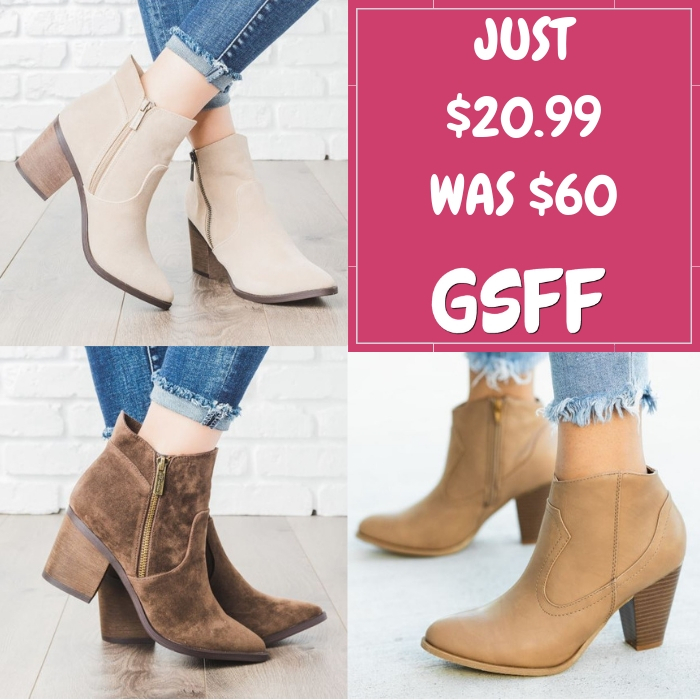 Head over to Jane to s core these Zipper Booties for just $20.99 down from $59.99 PLUS FREE shipping! These Zipper Booties are a must have style season to season! They come in 2 trendy styles that feature faux suede/leather material, inner zippers and approx. 3-3.5″ chunky heels. You can wear these booties with anything from your everyday work attire to your night-out fits! 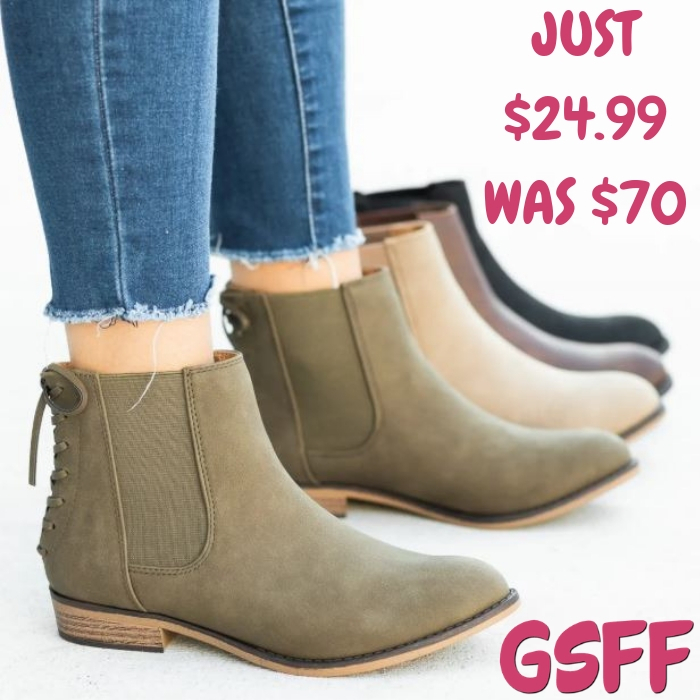 Tie-Up Booties Just $24.99! Down From $70! Shipped! This deal expires on January 29! 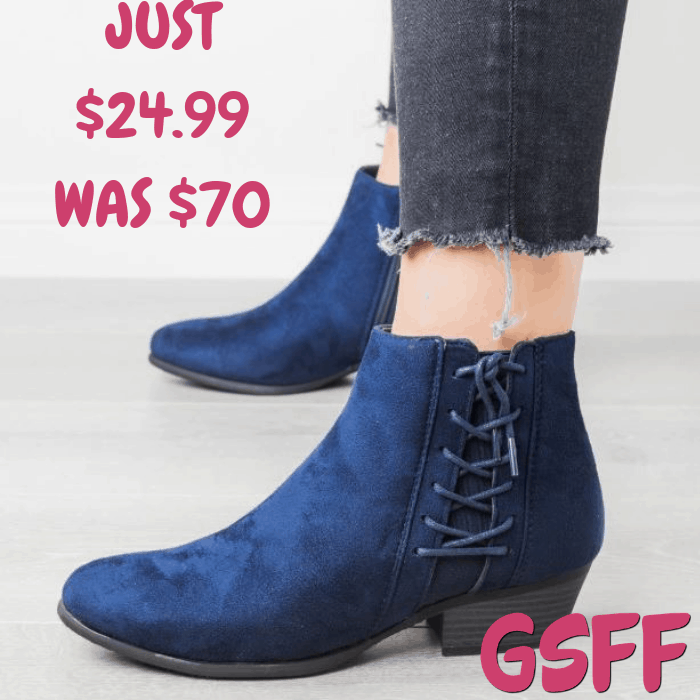 Jane is offering this Distressed Tie-Up Booties for just $24.99 down from $69.99 PLUS FREE shipping! Dress it up or dress it down in these super cute distressed tie-up booties! This style is made with faux leather material and features a stylish distressed finish, aside tie-up style, side zippers, and approx. a 2″ stacked heel. Bring the look together in distressed denim jeans and a casually chic top!